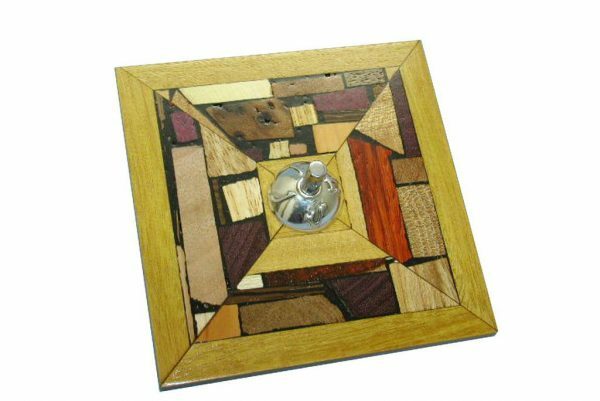 Etz-ron combines wood, mosaics and sterling silver for a stunning Collectible Dreidel spinner. The letters, in Hebrew, representing the words “A Great Miracle Occurred There” are embossed in the silver spinner. 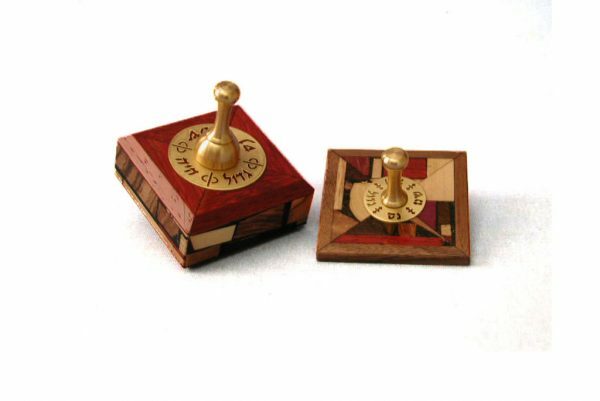 Another take on the traditional dreidel , this dreidel has a large, but thin body decorated with Etz-Ron’s signature multi wood mosaics made from woods the world over. All the colors you see are the original colors of the woods themselves. No stains or dyes are used! A great addition to your dreidel collection. Choose between light, medium or dark (base) woods. 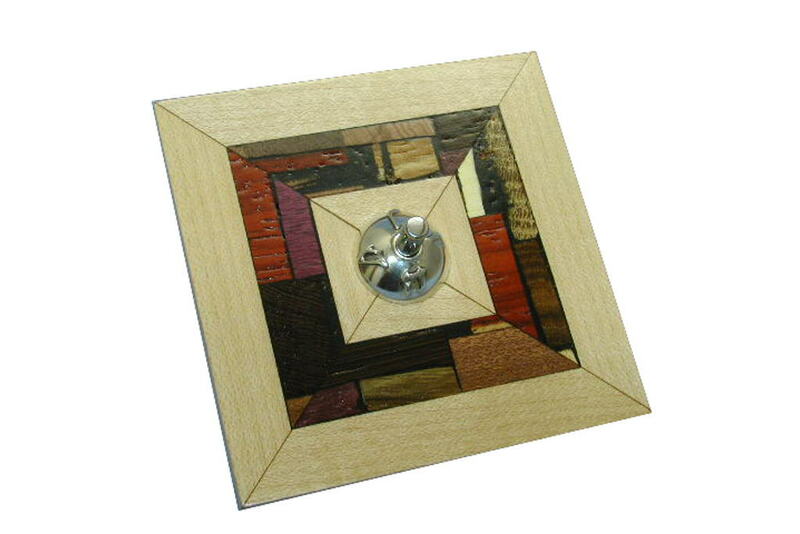 Dimensions: 3 x 3 x 1H” (8 x 8 x 3H cm) approximate, including the spinner. As with all Etz-Ron Mosaics, each piece is unique. You will get an item similar to the picture shown in the listing. Want to see a photo before purchase? Contact Me .